Two of our current CityLIS students, Hanna James and Matt Peck, have combined their writing talents to create this joint review of the presentations which were given on Day 1 of DocPerform 2: New Technologies, held on 6th November 2017. The review exemplifies the benefits of joint, reflective writing, as each writer responds to the comments and thoughts of the other. It seems to me, as though the whole reaches beyond the sum of its parts as a result. The work describes clearly the challenges and responses to the documentation of performance, as understood and investigated by our fabulous speakers. This blog post first appeared on both Matt’s and Hanna’s personal blogs, and is reproduced here with kind permission. You can follow Hanna and Matt on Twitter. HJ: The music flowed like honey when Lynnsey Weissenberg started playing her fiddle. It was an instantly intelligible experience to my senses: a ‘here and now’ experience. Once it was over, it was over, and no two performances are exactly the same. The performance itself did not leave any artefacts behind, but left the audience with their own memories of the performed piece (and, in some cases, photos or videos on their iPhones). For that reason, the power of documenting performances lies not only in preserving the performance (or a shadow of it), but also the creative process and even the theatrical experience. On the first day of DocPerform2 (6 November 2017), the speakers talked about the challenges, the opportunities, the twists, the value, the functions and many more about documenting performances. 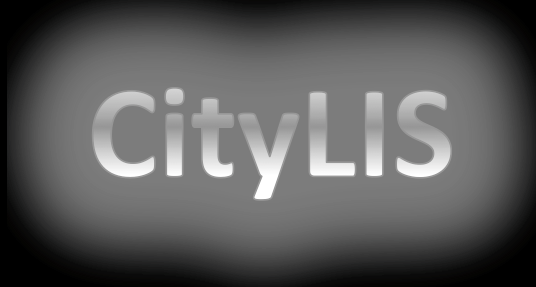 In this post, my CityLIS course-mate Matt Peck and I will reflect on and recap the presentations of the day. Matt and I have different writing styles and points of view. Through juxtaposing our writings, we draw up the diverged focuses in one post and collectively constitute a multi-dimensional picture of the day. MLP: The final presentation included a film from C-DaRE’s Resilience and Inclusion Online Toolkit. The video explores the dance-making practices of several disabled dance artists, and the lead creative, Kate Marsh, is interviewed on camera and speaks about coming to terms with owning work that her body produces. It is something of a paradox that she is not one of the featured performers in the video, but its choreographer, positioning her as the intellectual owner of the work belonging to other bodies and being recorded and filmed by other bodies entirely. For me, the tension between individual subjectivity and possession was a thread throughout a number of the sessions and gets to several fundamental challenges of documenting performance. These include establishing clarity on whose point of view is being represented and mediated and determining appropriate (and useable) attribution for that point of view. HJ: Virtuosity is undoubtedly a possession of individual dancers, while subjectivity of the creative process is seen as an important element of archiving. We saw speakers discuss documents unintended to be archival materials but nevertheless attributed to form part of a totality and thereby made into or considered as documents. In the case of Siobhan Davies’s archive, also presented by C-DaRE’s Sarah Whatley, rehearsal materials together with other hidden items such as lighting cues and speaker layout, reconstructed and translated Davies’s creativity. The interface of the digital archive was designed to meet the users’ needs as a virtual environment that endeavours to provide contextual information for better understanding of the artist’s performances. This typifies much of the archivists’ work: pinning down the creators’ subjectivity whilst bearing end users’ point of view in mind. MLP: Issues of this type were present from the outset — the AusStage and Irish Traditional Music Archives both reflect attempts at representing the multi-faceted nature of performances, and one of the key challenges they both grapple with is demonstrating the centrality of the humans involved in their respective art forms. Both presentations made compelling arguments that this focus on the individual is important. On the stage, that might be making explicit the links between theatre professionals who rely on a personalised network to achieve their respective creative visions, while the ontology Lynnsey Weissenberg described had people at its centre because they are critical to the evolution and spread of song renditions or playing styles. These developments retain links to their originators and must be acknowledged in record-keeping to allow archive users to trace how social networks map on to music creation and transmission. HJ: Indeed, Lynnsey Weissenberg’s LITMUS project is fascinating in terms of her designation to capture the people-centred relationship of traditional Irish music and dance that fit RDF. The predicate in the RDF triple is employed to denote the relationship one derives from the allegory/story telling characteristics of the heritage. At the same time, it seeks to find a solution to the non-uniform language (English/Irish) and geographical attributes. It also attempts to decipher and foreground the context in a way unfulfilled by existing vocabularies such as American Folklore Society’s Ethnographic Thesaurus (AFSET). These hierarchical linked data act as keepers preserving the intricate elements in Irish music and dance, just as the digital marks in Ramona Riedzewski (V&A) and Jenny Fewster’s (AusStage) project of building an IMDB for performing arts. Riedzewski talked about taking up the role of being the custodian of mementos (e.g. script with handwritten comments) during the process of building the database, which encapsulate (personal) memories surrounding theatre performances. While documentation of these mementos provides a fixity to artistry, the virtual gallery breaks the national boundaries and allows sharing of these memories in the infosphere. This characteristic of digital archive is also relevant to Pam Schweitzer’s The Reminiscence Theatre Archive, a deposit of interviews created between 1983 to 2005. These records are not only materials for theatre production during that period, but also are containers of the interviewees’ personal memories. Their survival owes to Schweitzer’s relentless effort and is given a refreshed life in education and research. MLP: Marc Kosciewjew’s paper, the most theoretical of the day, focused on material literacy, which linked nicely with the National Theatre archive’s efforts to document the craft-making process for costuming and other theatrical properties. Illuminating the origins of materials used on stage can both support future research and contribute to actors’ development of their respective performances. The work of the James Hardiman Library in NUI Galway demonstrated other ways in which subjectivity can be reclaimed, highlighting collection items that help users to recreate characterisation techniques such as a stammer shown in an actor’s modified play script. It became clear in these talks, and others, that the documents were not just of the performance, but of the performers themselves. Indeed, we heard from several sources about a hesitancy of professionals to refer to archival material lest their own visions be compromised or unduly influenced. This brings the notion of ownership of a body’s product full circle: another body fears creative contamination by coming into contact with that product. HJ: Kosciewjew’s presentation also brought about the notion of understanding – the materiality of document and performance is intertwined with materialism, things. Michael Buckland conceptualised information as knowledge, process, thing. Kosciewjew spoke about how documents illuminate the context of information, integrate teaching and research. We saw a second triangular flow chart in Erin Lee’s (National Theatre) presentation “Should theatre disappear like bubble?”. The diagram embodied a three-way dialogue of archivist, academic and practitioners in using archives for teaching, research and preservation. On the flip side, Barry Houlihan (NUI Galway) showed us how an array of documents of the Irish Theatre Archive had been used to engage new scholarship and reminded us that, for a user, whether a curious undergraduate or an established academic, the starting point is the same – to discover new knowledge. As the stammer example Matt quoted above, users gain an extra strand of knowledge about a production, which is unobtainable from just reading a book of script borrowed from a library. Hence, curation and the way to stage materials is instrumental in research and learning. Moreover, the discovery process is reinforced by user’s proficiency in using the digital discovery tool. In other words, archival literacy is pivotal to the success of an archive. MLP: Willing documentation and re-presentation of first person experiences were a focus of the afternoon sessions. We saw that in one form as submissions to the IDOCDE database, which allows dance instructors to use their own words to narrate their movement and teaching practices. But it may also be formalised through interview for later dramatic reenactment by a company such as the Reminiscence Theatre. Alternatively, as we saw in the DARC Practice performance, it may involve oblique narration, gesture and self harm. Each of these represented a highly personalised form of expression, the mediation of which creates documents of its own. We saw examples of this throughout the talks, nicely described in the end by Sarah Whatley as ‘accidental archives’. That could occur in the present — Ernst Fischer offered the fabric he cut out of his shirt — or in historical practice. The Reminiscence Theatre, for instance, conducted interviews in order to produce its verbatim scripts for stage presentation, but the interviews themselves, whether transcribed or recorded, operate in manifold ways: capturing an individual’s history, documenting the moment of the interview encounter, and demonstrating a particular methodology of theatre-making. But even when the archiving is evidently more intentional, such as the filming of theatre productions for commercial or practical purposes, André Deridder offered a useful reminder that the artefact is merely a simulacrum of the live act and should not be confused as its equivalent. Rather, he suggested it may be an entirely different work, and even if there is no apparent change to the performance itself, to the extent its representation has been mediated through both the camera mechanism and the subjective choices of operators and editors, that seems right. HJ: IDOCDE’s Mind the Dance project (John Taylor) and DARC (Ernst Fischer and Manuel Vason) also demonstrate that documenting performance does not need to be discursive. Mind the Dance functions rather as a reflective repository used for contemporary dance education. Taylor exemplified this with Kerstin Kussmaul’s article comparing body work to the architectural design concept of tensegrity, to deploy symbolic nature in communicating an art form. DARC, an open source archive for artists based in London, testifying the act of documentation is a creative process in its own right. At the symposium, Ernst Fischer and Manuel Vason treated us to a live performance with themes relating to documentation and photography. Vason, a known photographer/performer, has taken on two paradoxical roles single-handedly as a documenter and as a transitory artist. Fischer’s bloodily performance called upon me, an audience, to interpret the message it entailed. An apprehension about blood is an audience’s subjectivity, an immersive experience that left a mark in my memory. MLP: Properly recognising the various contributions of the individuals that make a performance (and its ancillary documents) is a struggle for the information professional. There are questions about how to technically catalog materials, and Debbie Lee’s talk on FRBR and LRM was instructive. But even if those methods (or the triples approach described and proposed in the AusStage and LITMUS applications) were sufficient, there are still questions about ownership, whether the performer or some other type of copyright holder, and, for lack of a better term, accuracy. The archival process ultimately determines what is and is not important to preserve, and, as Kosciewjew described, the loss of one document may alter the interpretation of the broader story. HJ: Librarians have a DUTY to describe documents accurately through cataloguing. Switching back to a more technical point of view in terms of documentation within an information technology environment, if performance itself as document, how can it fit in FRBR/LMR data models? Confronted by Debbie Lee, FRBR, a quaternary/high-level bibliographic record model developed by IFLA, has an intrinsic problem in dealing with the relationship of live performances and recordings. FRBR/LMR does not satisfactorily distinguish between work and expression in every given context. When performance is treated as work, there is much distortion to the aboutness of the manifestation. It is hardly an uncanny resemblance of Weissenberg’s LITMUS project. Both papers are showcases of the fact that there is still much effort required to take data relating to performance out of the silos. The relationship of recordings and performance was also brought up by André Deridder. Is recording simply a shadow of theatrical performance? Or is it something new? Deridder commented conscious audio-visual record rework a stage performance. He used the Belgian artist, René Magritte’s renowned painting “Ceci n’est pas une pipe” to illustrate that a representation is NOT the original object. The act of recording a performance meant to be live with purposeful arrangements (e.g. lighting, sound, camera angle and even presence of audiences) creates an expression on its own and renders different experience to the audience. MLP: In the end, despite Peter Hall’s protestations, theatre (and other performance) should not disappear like soap bubbles. For one, if nowhere else, it exists in memory. But the information professional has the responsibility to be clear about the limitations of the residue those bubbles leave. One of a document’s attributes as outlined by Buckland is its capacity for spawning other documents, and performance certainly operates in that way. Nevertheless, and perhaps more so than Briet’s antelope, performance is experienced differently in mind and body by each audience member. Documenting performance necessarily reflects the slipperiness between those different experiences. That can be a site of opportunity, but it should be recognised as such and not as an equivalent replacement for the lived experience of either the performer or the audience. Instead, any resulting documents in turn give rise to new performances and, naturally, new documents.